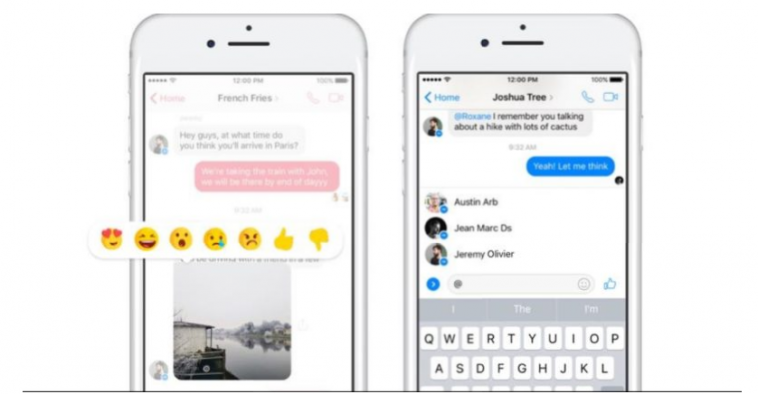 Facebook has been focusing on its Messenger service and is adding a lot of features to it. It made group conversations on Messenger appear just the original parent platform. Recently, it has incorporated Reactions for using in the conversation. The reactions on Facebook Messenger prove to be very useful. Instead of the typical like option, they allow users to find better ways to acknowledge they have read a post and express their feelings towards it. Now you can TAG a person you want to involve in a conversation by simply using @NAME. Also, Messenger offers thumbs down reaction which isn’t available on the main platform. The thumbs down button on Messenger works more like a “no” button rather than a dislike button. This can be helpful when users are discussing restaurants or places to visit in the form of a group. Also, mentions will help users to share something in a group conversation and is a similar feature that has been rolled out to the messaging service WhatsApp recently. For the users of Facebook messenger, both these features have been made available worldwide.